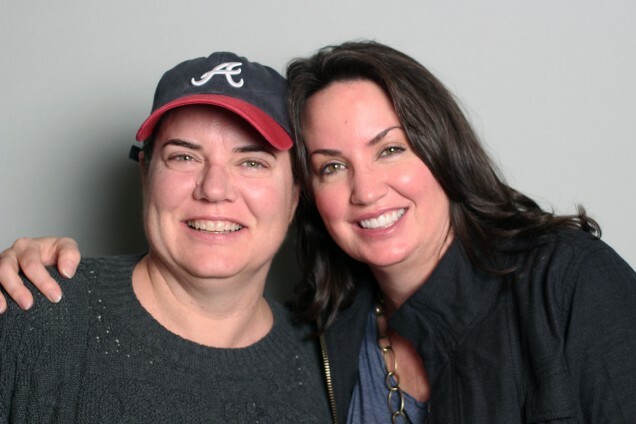 Two of their daughters, Claudia Anton (pictured above left) and Diana Keough (pictured above right), came to StoryCorps to remember what it was like to lose both parents to AIDS. Originally aired November 29, 2015, on NPR’s Weekend Edition. Top photo: Roger Bessey at his home in 1978 with daughters Claudia Anton, left, and Diana Keough courtesy of Diana Keough. ”Le Matin” by Yann Tierson from the album Les Retrouvailles. DK: You know we thought at first when we heard the word AIDS that it had been prostitutes, or that he had had a transfusion that we didn’t know about. We didn’t realize that he had been living a double life for 27 years. DK: In the state of Wisconsin at that time there were 150 cases of AIDS, and, uh, I think 149 was dad, and 150 was mom. I actually learned pretty quickly not to tell people about either one of them because we would have dinner parties and people would actually not eat or drink in our house. Tell me about your memories of dad dying. CA: I just remember his heart was beating out of his chest like his heart wouldn’t give up but the rest of his body was giving up. CS: Died like four hours later. DK: Do you feel bad about lying? CA: I’ve thought about that a lot. DK: Yeah. I think we did the right thing to let me die in peace. DK: ’94, that’s right. When do you feel the saddest about mom and dad being gone? CA: I get sad when people talk about going to see their parents or spending Christmas with their parents or…I still get a twinge of sadness on Mother’s Day. CA: I know, but I also think it’s the sign of the times, too. You know? The fact is that he couldn’t be who he wanted to be back then.